Texas Attorney-General Ken Paxton published an opinion piece in the Washington Post last week, laying out his arguments against the 1978 Indian Child Welfare Act. In Brackeen v. Zinke, a federal district court in Texas found the ICWA unconstitutional. Paxton intervened in the case, and hopes that the Fifth Circuit will uphold the district court’s ruling.The case could eventually arrive at the Supreme Court, where the fortified conservative majority there is likely to find Paxton’s arguments persuasive. They have shown themselves, after all, ready to toss federal laws because the legislation discriminates on the basis of race when white people feel themselves to be the victims. Congress enacted the ICWA in 1978, an important piece of legislation designed to halt the traumatic removal of native children from their homes through fostering and adoption. The problem was severe. Dakota Sioux at Spirit Lake, about whom I write in Native America, asked the Association of American Indian Affairs to conduct an investigation, and the AAIA reported that of the 1100 Dakotas under the age of 21 who lived at Spirit Lake in 1968, 275 had been removed from their families. In states with large Native American populations, the AAIA found that “child welfare” agencies had removed between 25 and 35 percent of children from their homes. Native peoples organized to halt this highly destructive practice, and the battle for the passage of the ICWA, according to its best historian, “represented one of the most fierce and successful battles for Indian self-determination of the 1970s.” The legislation committed the United States “to protect the best interests of Indian children and to promote the stability and security of Indian tribes and families by the establishment of minimum standards for the removal of Indian children from their families and the placement of such children in foster or adoptive homes which will reflect the unique values of Indian culture.” Native American children, under the legislation, must be placed with family members, with members of their tribe, or with members of another native nation, before they are placed in the care of non-Native American foster parents. “Native American children, strictly because of their race, thus can be kept apart from foster families eager to adopt them. If federal law treated any other class of people this way, it would be roundly condemned, and rightly so. According to the Department of Health and Human Services, 10,529 American Indian/Alaska Native children were in foster care in fiscal 2017. Some claim that the ICWA relies on a political designation, rather than a racial one, because a tribe is a political entity. But no political or cultural link to a tribe must exist for the Indian Child Welfare Act to apply to a given child. Tribal eligibility — determined in virtually every case by genetic ancestry — is sufficient. The idea that the ICWA relies on a political designation rather than a racial one is further undermined by the fact that if no family from the child’s tribe volunteers to adopt, any Native American from any tribe, anywhere, takes automatic precedence over a non-Native American couple. This requirement relies on racist and reductionist assumptions about the supposed interchangeability of drastically different tribal cultures. You would not know it from Paxton’s piece, but his opinions are those of a distinct minority. 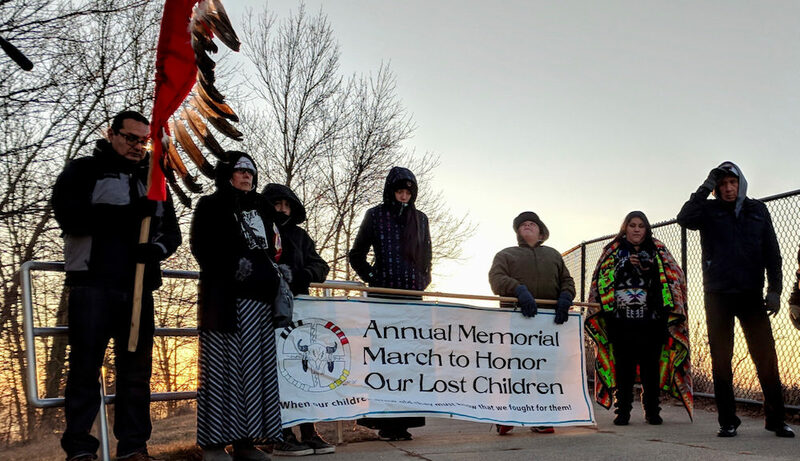 Twenty-one state attorneys-general, along with thirty child welfare organizations, 325 tribal governments and fifty-seven tribal organizations have expressed their support for the Indian Child Welfare Act. The law, they write, “was designed to reverse decades of cultural insensitivity and political bias that had resulted in one-third of all Indian children being forcibly removed by the government from their families, their tribes and their cultural heritage.” The law was a signal achievement, and it has done its job. The ICWA ensures the “stability and cohesion of Tribal families, Tribal communities and Tribal cultures,” in the face or organizations and entities that have sought their destruction. Still, this is exactly the sort of case I fear the Supremes have been waiting for. Paxton’s arguments, though they rely more on the 10th Amendment to the Constitution than a strict construction of Article I’s “Indian Commerce” clause, dovetail nicely with the reasoning deployed by Justice Thomas, about which I have written here. And that is what makes this case so ominous for native peoples, who throughout much of their history have seen their children targeted in government efforts to extinguish their identities as members of native nations.